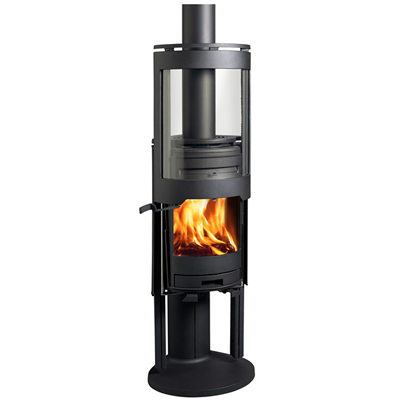 The Jøtul F 473 comes with a pillar or pedestal stand on a tear drop shaped base, a large curved glass door with guillotine solution. 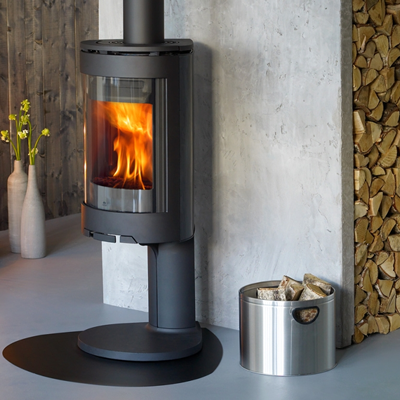 The stove has a unique teardrop shape and a large curved glass door gives an exceptional view to the flames because the glass extends to the sides of the stove. Winner of the Red Dot award.